The Horror Channel in the UK are getting much more respect of late with their smart selection of strong horror movies, so it's great to see they'll be focussing their attention on some strong home-grown UK talent this coming April with their Cruel Britannia season, including debut broadcasts of Mum & Dad, Salvage, Tony: London Serial Killer and The Living and the Dead. 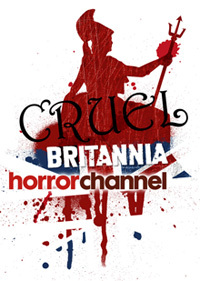 To give it it's full title, Cruel Britannia: The Cutting Edge of British Horror will run from April 8 – April 29, 2011 and will be celebrating the best of contemporary British horror with a special season of UK TV premieres which showcases some of the finest home-grown directorial talent around. First up on Friday 8th April is the UK TV premiere of Steven Sheil’s debut feature and genuine must-see MUM & DAD - a film described as “one of the defining British horrors of its generation”. Imbued with a terrifying ferocity, it centres around a young Polish immigrant (Holby City’s Olga Fedori) who finds herself imprisoned in a suburban House of Horrors where Mum and Dad (Perry Benson - This Is England, Somers Town) rule the roost. This is followed by the UK TV premiere of Gerard Johnson’s debut, the dark, brutal and bleakly amusing TONY: LONDON SERIAL KILLER, transmitting on Friday 15 April. Another amazing debut film, Tony has drawn favourable comparisons to John McNaughton’s seminal Henry: Portrait of a Serial Killer and features a star-making lead performance from Peter Ferdinando - probably the most alarming cinematic anti-hero since Taxi Driver’s Travis Bickle. Finally, there is the UK TV premiere of Simon Rumley’s critically-acclaimed THE LIVING AND THE DEAD, which screens on Friday 29th April. 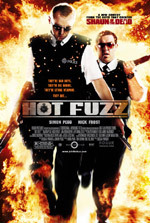 Starring Roger Lloyd Pack, Kate Fahy and Leo Bill, the film is a truly nightmarish experience as we watch an aristocratic, impoverished and reclusive family descend into madness and self-destruction. Each movie will be accompanied by a filmed intro with the directors and the season is promoted on-air with some specially shot sequences presented by femme fatale Emily Booth.